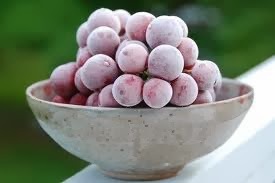 - Frozen grapes are proof that fruit is a perfect dessert. - If something you wrote goes viral on the internet, resist the urge to read the comments. There are a lot of unhappy people commenting on the interwebs. - I don't think Miley Cyrus needs any more open letters. - Facebook, your friend suggestions indicate that you have bad boundaries (or, at least, that you think that I do). - A hot bath makes just about everything at least marginally better. - If you're not going to use butter, use olive or coconut oil. Step away from the margarine, for crying out loud. - The gluten issue is a complicated one. Modern wheat has very little to do with the ancient grain it started out as. - Telling a woman to "calm down" is the single most effective way to ensure that the opposite effect occurs. - Some of the best sarcasm pushes the boundary right up to the line between funny-nice and funny-mean. - Good design will get you far.